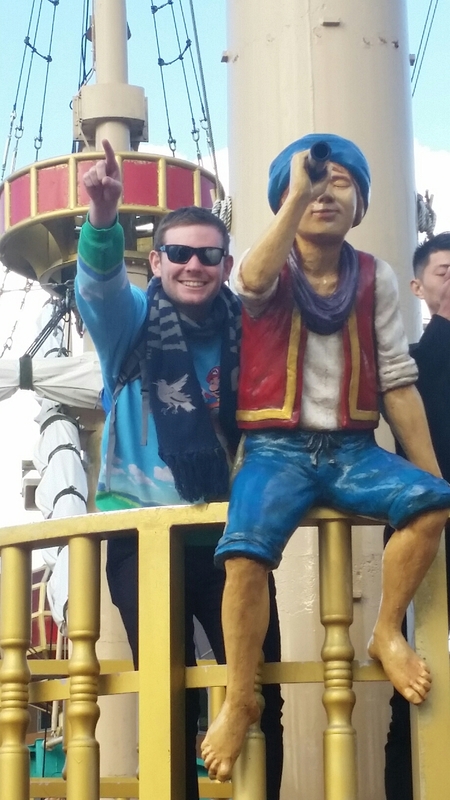 Yesterday’s travels involved us heading from Tokyo to Hakone to see Lake Ashi and views of Mt. Fuji. 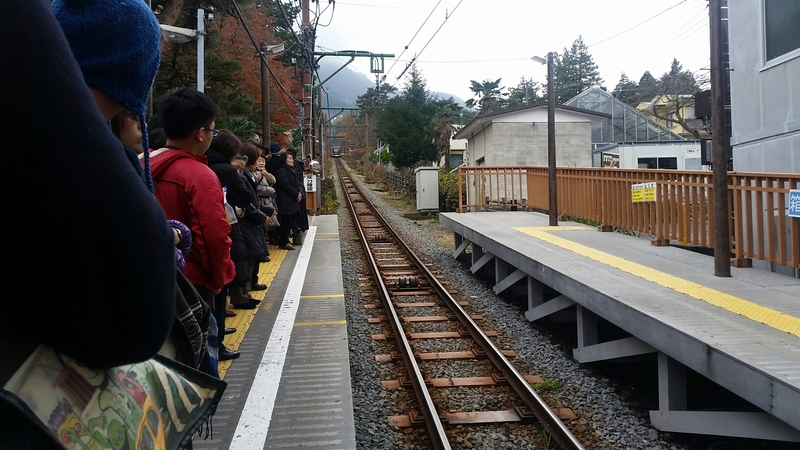 After more struggles with the railway we eventually found our way to the right platform. 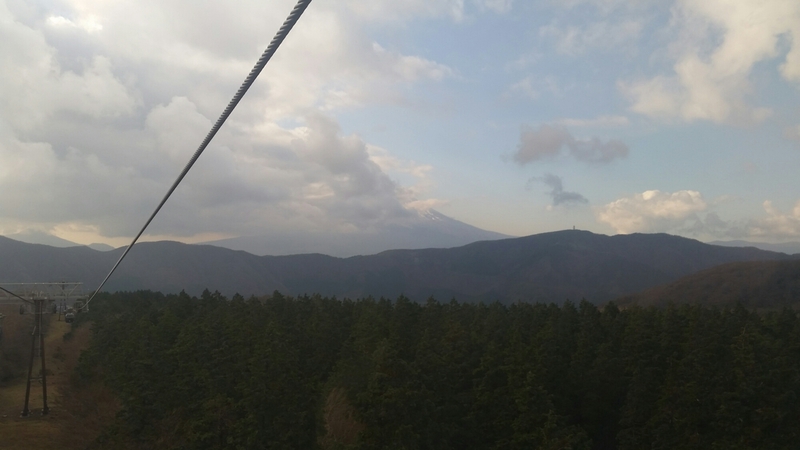 From the station we travelled by train up the mountain to the ropeway to see the high life. The views from these were breathtakingly beautiful and offered an excellent view of Mt. Fuji. Unfortunately, the clouds wanted more attention than the mountain and blocked our vision. 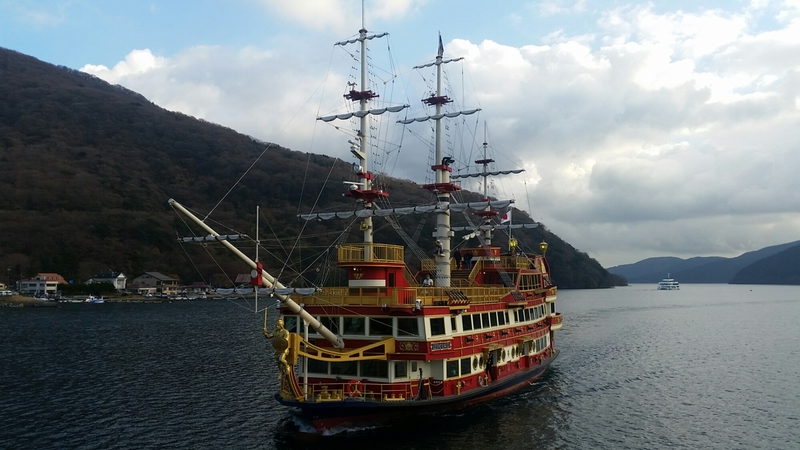 The ropeway ended at Lake Ashi were we hopped aboard a pirate ship for a scenic cruise. With the help of one of the deck hands we tried to spot Mt. Fuji from the boat but we had no luck. We ended the day with some sake and karaoke in Shinjuku. After a few drinks everyone had the voice of an angel and was giving it their all.